After a lengthy appeal, the Oracle v. Google trial on various Java APIs is headed back to the district court for a new trial. The federal appeals court in this case sided with Oracle, agreeing that the structure, sequence, and organization of the 37 Java APIs in question constituted copyrightable material. While I still disagree with this on a fundamental level (I'd argue Oracle is merely using copyright as a false shield - it really wants to protect functionality, not form, which copyright does not protect), the 9th Circuit's Court of Appeals for the Federal Circuit's decision falls in line with the court's reputation as being one of the strongest on intellectual property protection. I won't get into the law, because frankly, I'm not a copyright expert - I understand a good deal of what the circuit court explains in its decision, but analyzing it piece by piece is a daunting task unless you've been following the minutiae of this trial from day one. The short of it is this: the circuit court was presented with a novel question of law: are APIs copyrightable in their organization, structure, and sequence as well as the actual code itself? The court decided the answer to that question is yes. And thus, the district court judge's ruling is overturned, and a new trial on two issues must now take place. 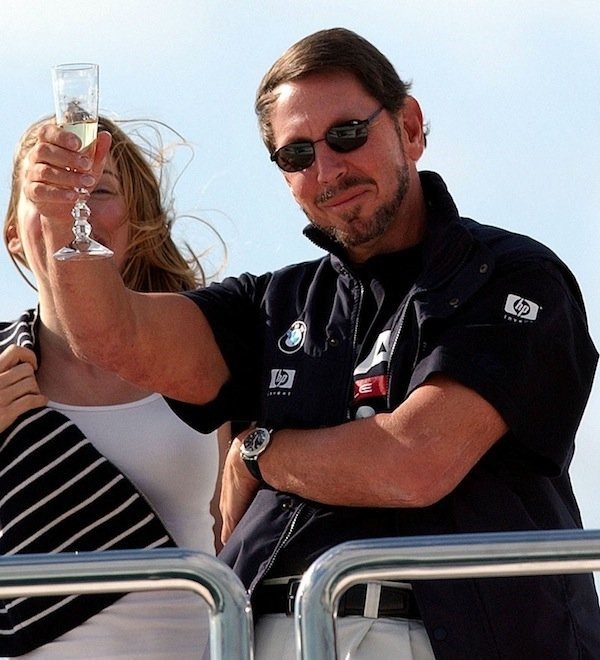 Those two issues, though, are going to be real sticklers for Oracle: fair use and damages. The jury unanimously agreed that if Oracle's APIs were copyrightable as asserted (which is now law), Google did indeed infringe that copyright. What the jury did not agree upon, and in fact deadlocked in regard to, was fair use. If Google's usage of these APIs falls under the scope of fair use (which includes arguments like interoperability), then none of this really matters from a damages perspective: fair use is an absolute affirmative defense, and negates a finding of infringement. Google's primary arguments for fair use will likely fall under two basic ideas: interoperability and economic value. Interoperability is a touchy subject legally in the US, and while there is established law, it's still kind of a murky concept with a lot of potential pitfalls when asserted. The gist is this: assuming the party copying the copyrighted material didn't violate a license agreement or divulge a trade secret in doing so, interoperability is available as a defense if the material copied was necessary to ensure the interoperability of one system with another. This is also known as reverse engineering. Reverse engineering in the scope of copyright is often confusing to most people, because reverse engineering is by definition about functional utility. Copyright is, by definition, not about function - it is about form and attribute. Copyright, by definition, does not protection function, only form. Interoperability is a defense because the copier is saying "I copied the material not because of its structure, organization, or sequence [its copyrightable attributes], but only because copying these things was necessary to ensure the interoperability of one system with another." That means the copying was not at all about the copyrightable aspects of the material, just about what that material does (function, not form) to allow one system to work with another. In Google's case, this would be to argue that it copied the structure, organization, and sequence of those 37 APIs solely because it was necessary in order to ensure the interoperability of Java applications with the Android OS. I am honestly not enough of a software expert to say whether or not this defense is reasonable, it's very much a fact-intensive issue. We'll see what Google says in the new trial. Oracle's job will be to argue that it wasn't necessary, and that Google could have achieved the same functional end without copying Oracle's APIs. The other factor to consider will be the economic value of the work copied: do the sequence, organization, and structure of Oracle's 37 Java APIs actually represent a valuable work? That's another tough question, because Google will likely attempt to show that it's not the copyrightable aspect of these APIs that makes them valuable - it's their function. I really think Oracle will struggle with this, even if it is able to convince a jury these APIs have some value in their sequence, organization, and structure, putting a number to that could prove very hard. And then, even if Google does lose out on these fair use issues, there's a question of damages. If there is value to Oracle's works, and if Google's copying wasn't solely for interoperability, what kind of damage has Oracle actually suffered here? Another question that will likely be hard to answer. Anyway, we'll probably hear about this again in 6 months, so be on the lookout! Or don't.